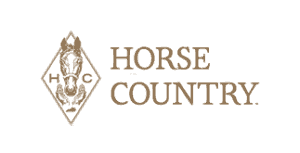 Horse Country, Inc., a membership organization unites thoroughbred farms, clinics and equine attractions in a fan development initiative. The organization aims to make fans of farms, horses, and the sport through experiences at member locations. We have already garnered attention and support internationally in industry circles and press. Horse Country is seeking interns to work with the organization during this critical development phase. Horse Country will provide training and experience in nonprofit management through work on membership relations, marketing and communications, merchandising, operations, tourism, finance and more. Successful candidates will demonstrate a strong work ethic and commitment to the mission of the organization. Candidates may be from a variety of backgrounds or with a variety of interest. Please detail any specific qualifications or areas of interest in the cover letter. Equine experience is not required. Submit your information to Marisa Mattingly at [email protected] The email subject line should read Internship.